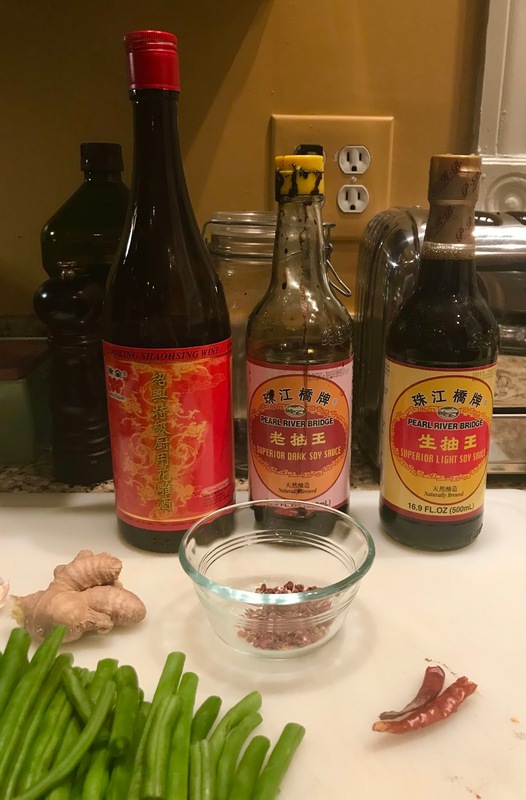 Start your wok and pour your oil in the wok. 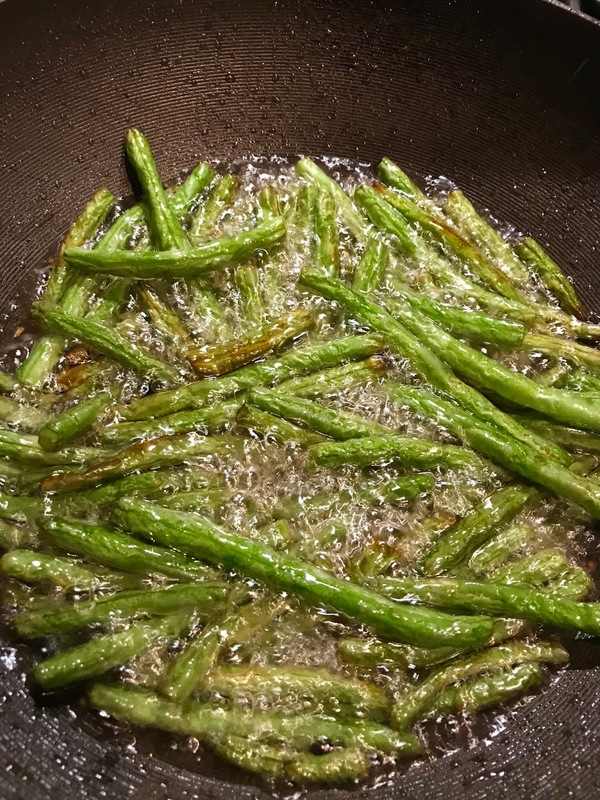 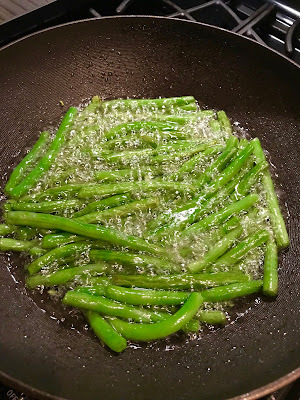 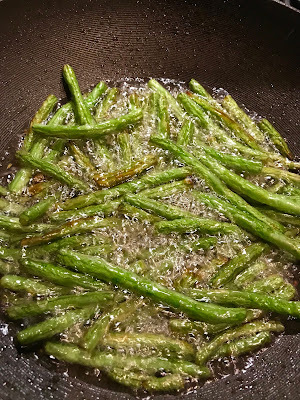 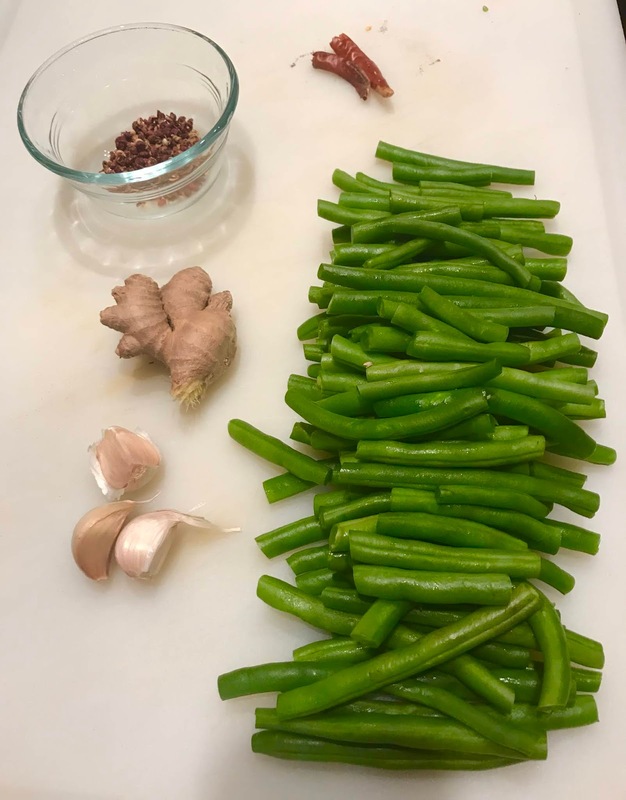 Once it is up to temperature, add your green beans and cook them for 6 to 7 minutes until they are blistered and softened. 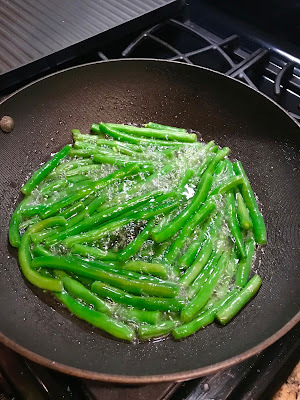 Here's what they will look like at the three stages. Set them aside to drain in a colander over a pan. 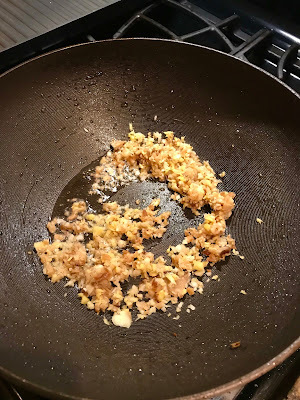 Then drain all of the oil off of the wok except for about 1 tablespoon. 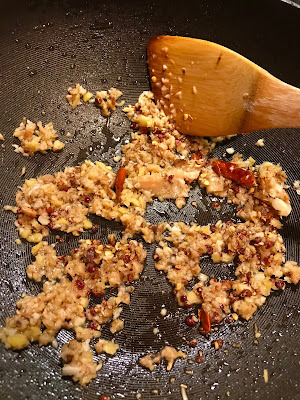 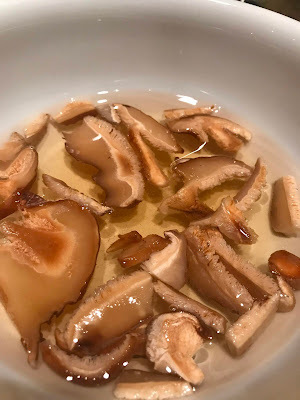 Then add your garlic, ginger, shiitake mushrooms, sauté for 1 minute and then add your Szechuan peppercorns and chilies and stir fry them gently on low heat. 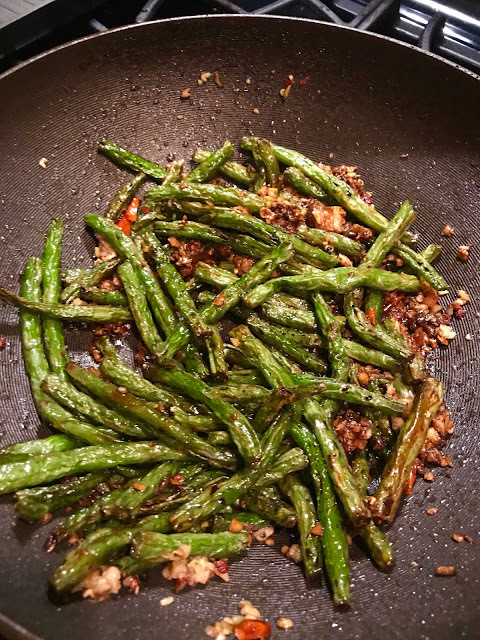 Then bring the heat up to high, add in the green beans, and the sauce mixture and stir fry for about one minute Serve with rice and enjoy.